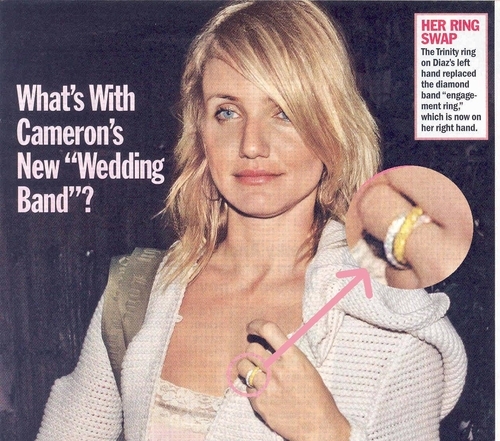 Reported to be the style of ring that Justin Tiberlake has given to Cameron Diaz* as their engagement ring. This is such a unique ring that you will be hard pressed to find it anywhere. See below for the Trio Eternity© ring that Ziamond already had designed. You to can order and wear a ring that will be the ring of all rings. *The celebrity depicted above does not sponsor or endorse the products sold on Ziamond.com and is not associated or affiliated with Ziamond.com in any way. Ziamond.com's use of the celebrity shown above is for informational purposes only in order to demonstrate the similarity of Ziamond.com's products with those worn by the celebrity in this photo.